Windproof, Waterproof & Breathability Ratings - Why The Importance? 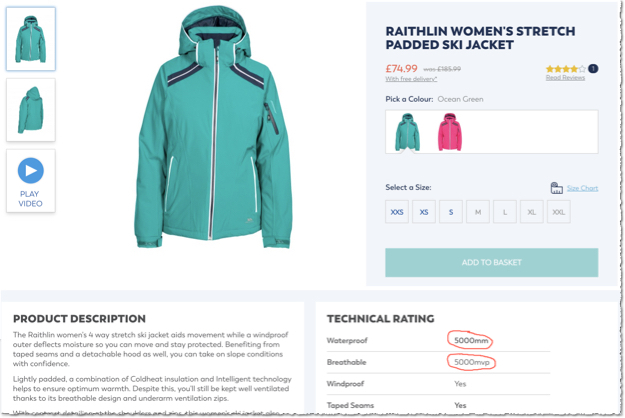 Why Are Outdoor Clothing Ratings Important? The outdoor industry and online retailers throw a lot of techy terms and numbers at consumers to show how awesome and high performing their products are. But what does do all these measurements even mean, and why are they important? 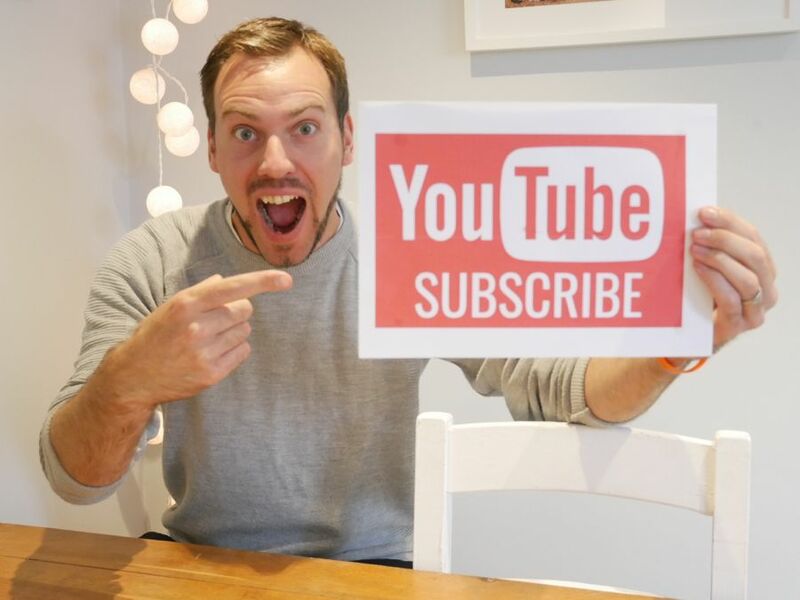 This post is designed to be a much more detailed answer to that question than you ever even wanted. The reason I’m writing it? 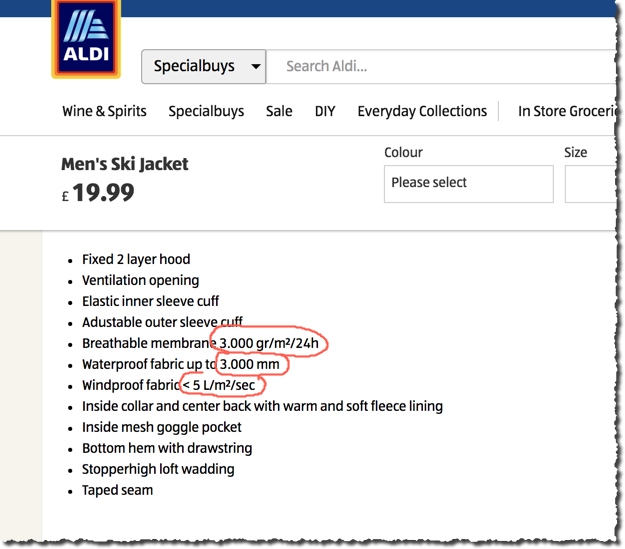 Because a well known supermarket are promoting getting a full adult ski outfit for £58*. 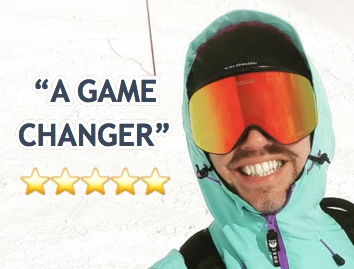 *As a caveat, there’s nothing wrong with buying a full ski outfit for £58, so long as the garments suit the weather and conditions you are planning to ski or venture outdoors in. Let’s start from the top, so you can understand why I am a little bit worried about cheap outdoor gear. Tread carefully with this one, as the wording makes all the difference. Water resistant means if you throw a handful of water at the garment, if probably won’t get you wet. But that doesn’t mean it’s waterproof. Down jackets for example are generally not waterproof, and it bugs the crap out of me when I see people walking around in down jackets in the rain 🙄. Many technical clothing items feature a durable water-repellent (DWR) finish. This makes water bead up and roll off of the surface of the fabric. DWR treatments are used either alone, or to boost the performance of another waterproofing technology, such as Analogy for Paramo garments. Waterproofing ratings are based on a water column test that measures water permeability under pressure. Why is pressure important? Well the same ski pants that are keeping snow out when you’re standing still may become damp when, for example, you put pressure on them by sitting on a chairlift. 0 – 4,999mm Slightly Water Resistant Will protect you from a handful of water being thrown at you, once. For the more active readers amongst you, breathability is very important indeed. If you’re running, skiing, or doing another activity where you are going to sweat a lot, you’ll want to find base layers, jackets, pants and layers that are breathable. Different technologies do this very cleverly by keeping external water out, and letting internal water vapour (i.e your smelly salty sweat) escape from the inside, out. Now, breathability ratings are tricky because temperature and humidity can affect both how much we sweat AND water vapour transfer rate, which is essentially what breathability is based on. The breathability metric is usually reported in terms of the amount of water vapour, in grams, that can pass through a square metre of material during a 24-hour time period (g/m2). Last but not least, we have windproof ratings. Windproof ratings are often measured in the amount of cubic feet per minute (CFM) or metres squared per second (m²/sec) of about a 30-mile-per-hour wind that can pass through one square measurement of the material. As such, a lower number show that the garment is more effective when it comes to blocking wind. SO NOW YOU KNOW THE RATINGS…. So now you’re a bit more clued up on outdoor clothing and garment ratings, you can then be clearer on your choices when purchasing technical gear. Now, for a ski jacket, you want it to be very breathable, and waterproof to at least 10k. That’s because you’re doing an aerobic activity where you’ll sweat a lot, and European ski resorts generally have quite wet snow, unless it’s very, very cold. That means the snow holds more moisture, so you are more likely to get damp clothing if you sit on the snow or fall over alot. WHAT DOES IT MATTER IF THE JACKET ISN‘T WATERPROOF & BREATHABLE? I’LL STILL BE WARM, RIGHT? For a while, maybe. But the big issue is that moisture cools much, much faster than air in cold / freezing conditions. So if your jacket is damp, the wind is blowing and it’s sub-zero temperatures you are going to struggle big time and become very cold, very quickly indeed. The last thing I want is a) for anyone to be uncomfortable when out in cold conditions, and b) seeing people getting into difficulties with colds and – in the worst cases – hypothermia. You should be enjoying the outdoors, not rushing inside to warm up. So the type of outdoor clothing and garments you buy make a big difference to how warm and dry you’ll be. 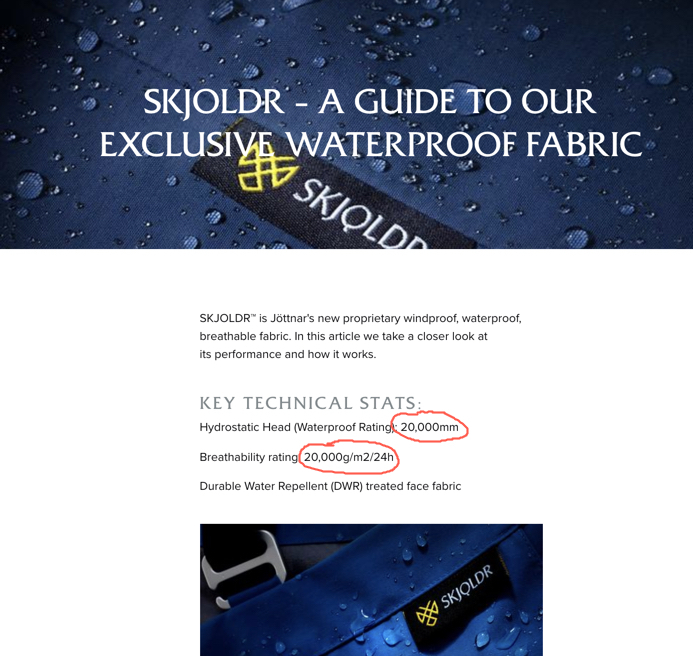 If you can’t see the breathability, waterproof and windproof ratings on a product – ASK. It is important to note that the performance ratings of a garment are limited by other factors such as clothing construction and use. For example, if a jacket is 20k waterproof but the seams or zippers are unsealed, you can still get leaks through these weak points. Or if your jacket is breathable but you are wearing layers underneath it that are not breathable, then your system is not breathable. That means sweat can’t make it to the breathable jacket layer, and will stay inside your clothing. If the fabric is windproof but it has zippable (is that a word?) ventilation zones, you’ll still get wind passing through the vents. Hopefully with all this wonderful outdoor technical clothing knowledge in your armoury, you’ll feel better informed to make a purcahse decision next time you spot a bargain online or in-store.